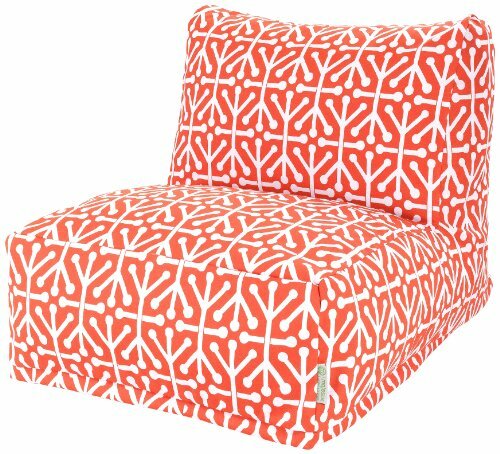 Add style and functionality to your living room, family room or outdoor patio with the Majestic Home Goods Bean Bag Chair Lounger. This Beanbag Chair has the design of modern furniture, while still giving the comfort of a classic bean bag. Woven from outdoor treated polyester, these loungers have up to 1000 hours of U.V. protection and are able to withstand all of nature's elements. The beanbag inserts are eco-friendly by using up to 50% recycled polystyrene beads and the removable zippered slipcovers are conveniently machine-washable.